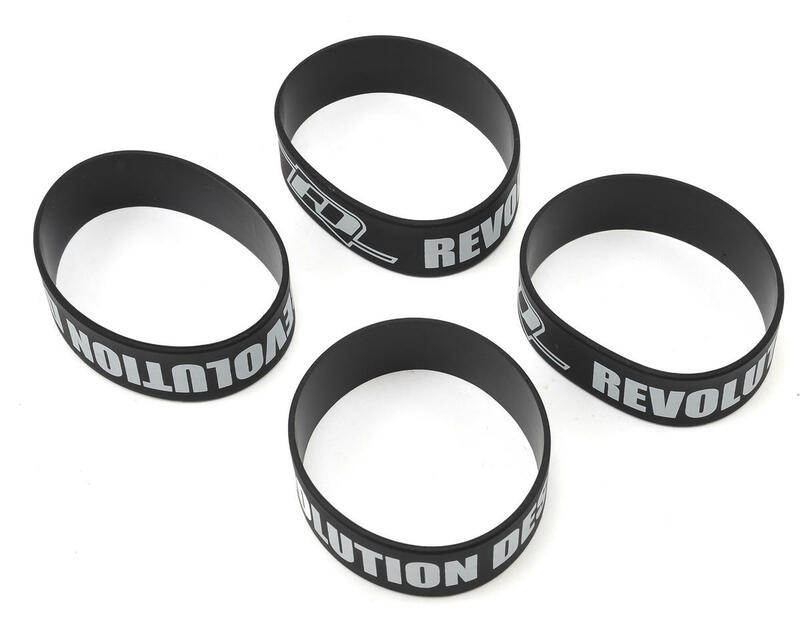 The Revolution Design Racing Products Ultra Tire Bands are an evolution of a common design and can be used for a range of applications including 1/10th off-road buggy tires. Simple construction offers maximum durability while the extended width of 25mm helps to apply maximum pressure to make sure the tire is forced onto the wheel with emphasis. 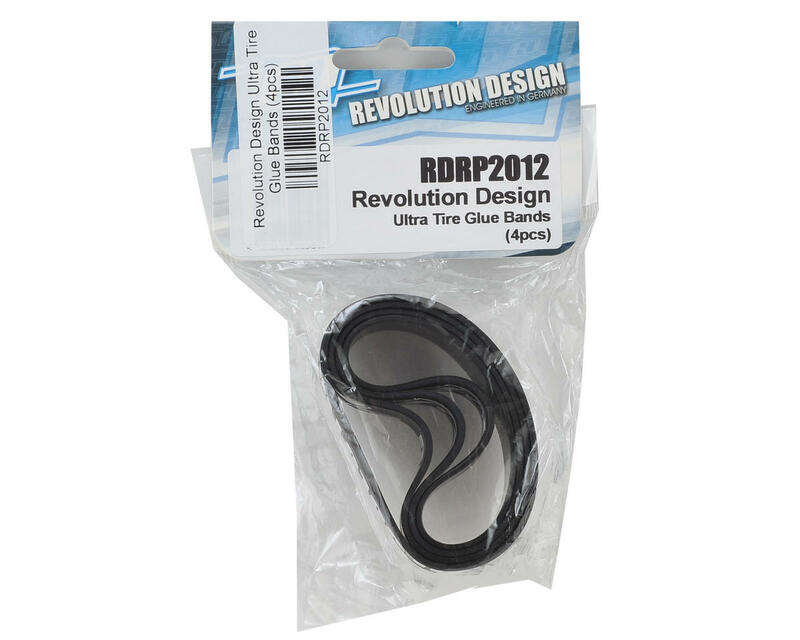 The black color bands with white lettering come in sets of four and make for a strong bond between the tire and the rim during wheel gluing.